This Thursday (10/11/12), the Western New York Premiere of COLORED CONFEDERATES: Myth or Matter of Fact? 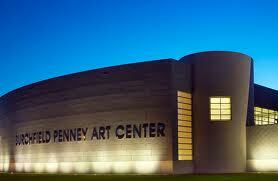 will take place at the beautiful Burchfield Penney Art Center @ 7 pm in Buffalo, NY. This is quite an honor especially since I’m from nearby Rochester!!! Miss you WNY (yes, even during the winter months too. LOL).